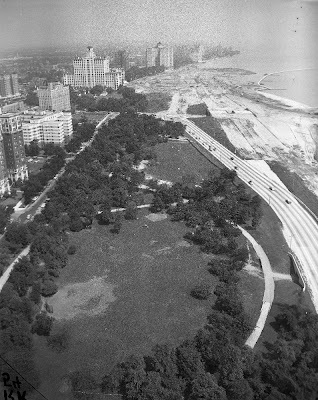 From the seller's description: Foster Avenue extension in Chicago, August 11, 1953... [The] landfill extension was completed in the 1950s between Foster Avenue and Ardmore Avenue, and the fill included a new beach at Foster Avenue. Planning and design for the extension started in 1947, but construction and fill did not begin until three years later. 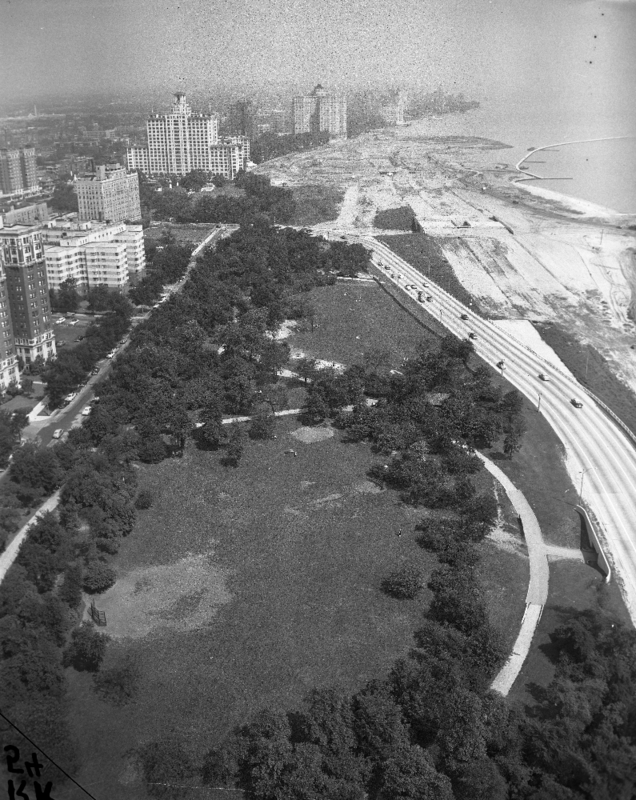 The fill project continued over the majority of the decade, and it was finally finished in 1958. E.V Buchsbaum designed the beach house for the site, which was constructed between the late 1950s and early 1960s. In the 1990s, a new beach house provided improved amenities, including bathrooms and concessions.